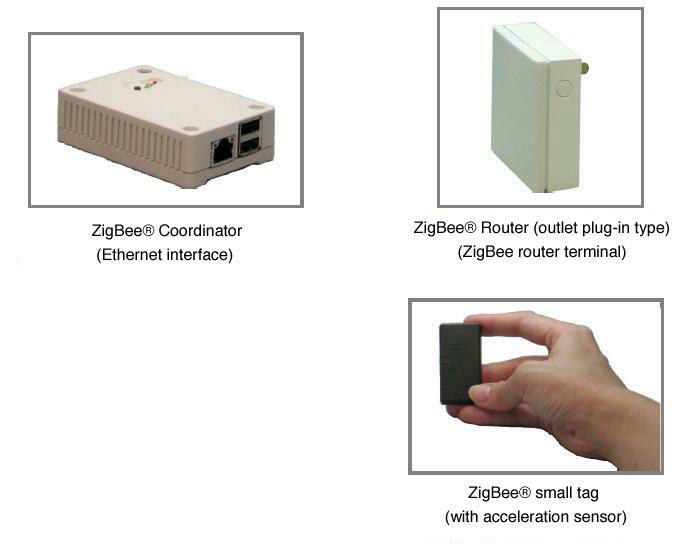 Operations and location areas are detected using ZigBee® tags. Three-axis acceleration sensor is incorporated. Locations of people and objects can be managed and objects that have fallen or been taken away can be detected. Various sensor terminals can be added for temperature, humidity, luminance, motion, and current. Network wiring installation is not necessary because the repeater base station is wireless. Tag is a power-saving design that can operate for several months to several years with a coin-type lithium battery. Position information extending from one floor to another can be managed because two or more networks can be uniformly managed. 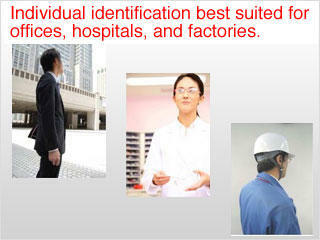 With the ZigBee® tag, areas with people and objects can be managed. Customization, such as the addition of a shape for the tag and external I/F, is supported. Ad-Sol Nissin can supply high-end applications and terminals. The tag is used for the area management of people and equipment in hospitals and warehouses representing a solution that will be increasingly necessary in the future. Customization with the addition of a tag shape and external I/F is also supported. For details, consult Ad-Sol Nissin.